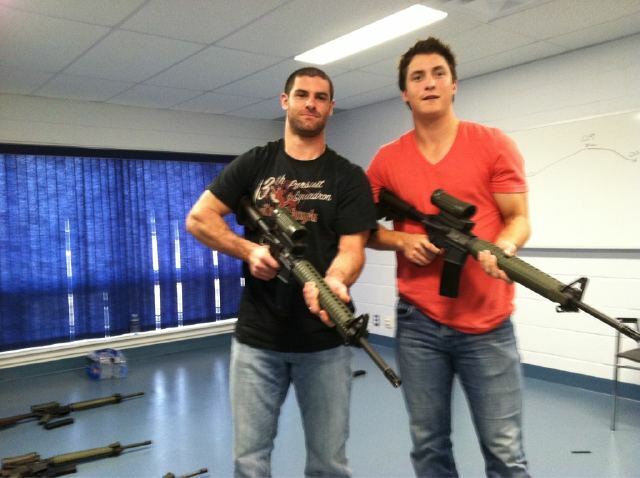 The Leafs have played 2 games and for some odd scheduling reason had the week off to practice and play around with some guns. The Leafs practiced this week at an air base rink at CFB Trenton which is around 2 1/2 hours east of Toronto. The extra time off will gave some players a chance to heal from some preseason injuries (or just being made of glass), but most importantly it gave the team a chance to do some serious bonding. The week away from Toronto was like a week away at overnight camp for many of the guys. 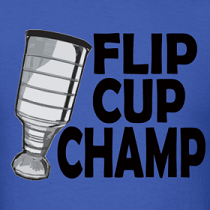 So what type of campers would the Maple Leafs be? James Reimer – The camper that is the first to fall asleep at night, but none of the kids draw on his face or place his hand in hot water. It's like someone is watching over him from above. 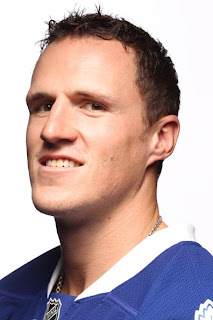 Dion Phaneuf - The loud, popular camper who wins the weekly talent show with an intense DJing performance. Tyler Bozak – The camper who brings his PSP and spends most of camp eating chocolate bars and playing video games in his bunkie. Joffrey Lupul – The camp heartbreaker. Spends the whole summer at camp and has a different girlfriend every week. Phil Kessel – The kid that wins most of the weekly challenges, but still doesn't get at least a make out from a female camper. Tim Connolly – The camper that gets injured the first day of camp and is seen crying and leaving with his parents later that day. Luke Schenn – The pudgy kid that nobody makes fun of because he will crush you. Colby Armstrong – The camper that gets under your skin and makes you have your first George McFly-punch-a-guy-out-moment. Mike Brown – The bad boy camper that is always caught going into the girls shower and is also the only camper who can grow facial hair. Mikhail Grabovski – The crazy foreign camper that tips over the girls canoes and runs naked through the change rooms. Cheese is the guy who knows how to flawlessly Saran-Wrap the girls toilets, then alternate them with a nice covering of clear corn syrup. He'd lead the suppressed laughter outside their bathroom window early in the morning. Is Elisha Cuthbert the hot female camper who smokes in the woods? Bozak looks pretty jacked in that picture. You would think he would be tougher on the ice and not such a tampon. So all those hot blonde biddies in Sweden have experience with guns?